Head mounted displays are wearable display devices which gives real time three-dimensional display. It has a simple design with high luminous efficiency. These devices are light-weighted and have several potential features including eye tracking and multi-focus plane capabilities. Head mounted display uses virtual reality technology where one can visualize and interact with the objects of the virtual world in a similar manner it interacts with the real world. This property helps in military and aircraft operation training as the user are immersed into the virtual reality environment. The global head mounted market can be segmented on the basis of technologies used, display type, components used in the device and the end user industries. The recently developed technologies that are virtual reality and augment reality are crux of these devices. With the advanced technologies, Monocular, Biocular, Binocular and other display types are featured into this product. Essential components such as processor, sensor hubs, Bluetooth, optical units, etc. are used for its manufacturing. It has a wide range of use in military sector, commercial, aerospace industry and many more. The market is also analyzed based on geographic regions which are grouped into Americas, APAC, Europe as well as RoW regions. America is the prime manufacturing market in the world. In APAC region, countries such as Japan, South Korea and China display a high growth rate for this market. 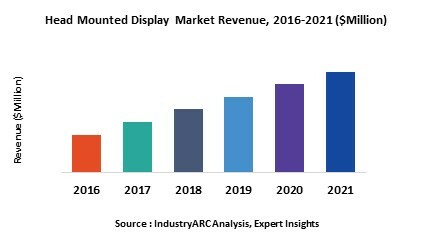 Demand for portable and high resolution three-dimensional displays with capability of virtual world environment is the driving factors for this market. Advancement of human-computer interaction and use of improved devices for critical medical operation are also the driving force for this market. 12.5. Virtual Research Systems, Incorporated.